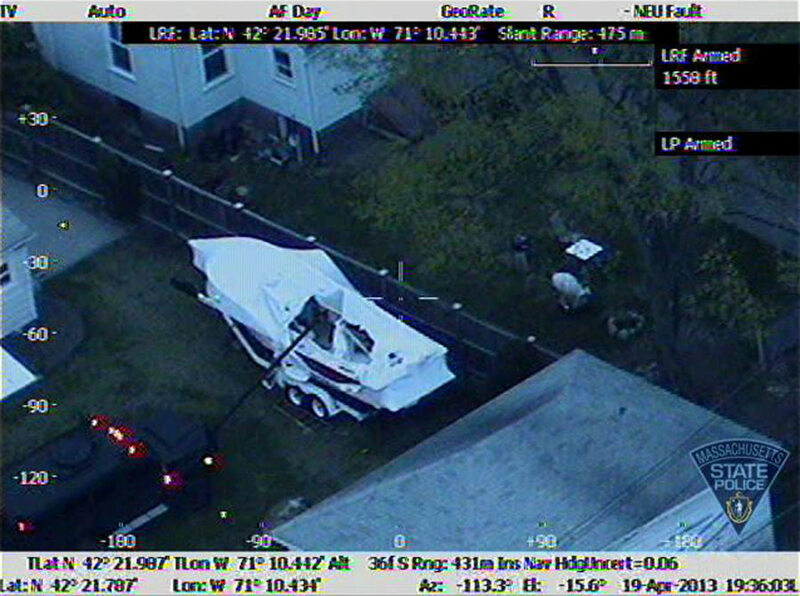 The Massachusetts State Police has released this video showing aerial footage of the boat where Dzhokhar Tsarnaev lay hidden during last night's standoff with police. 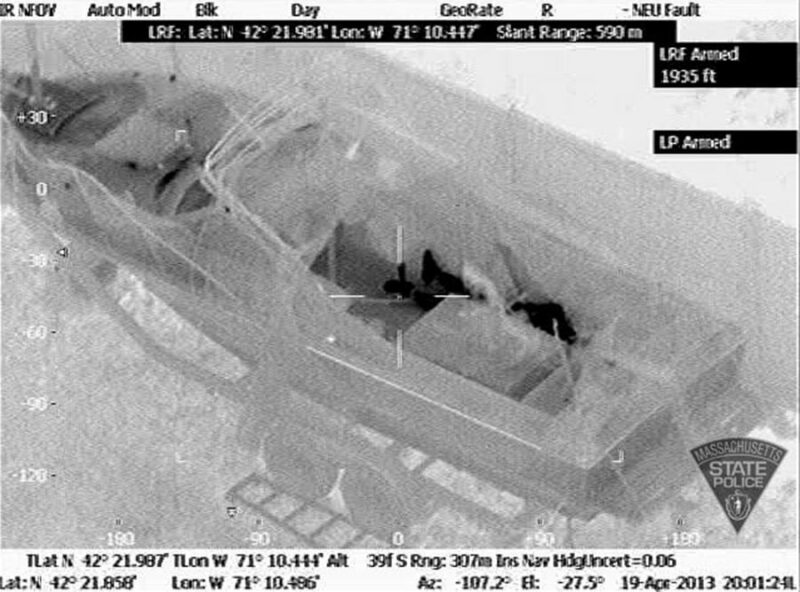 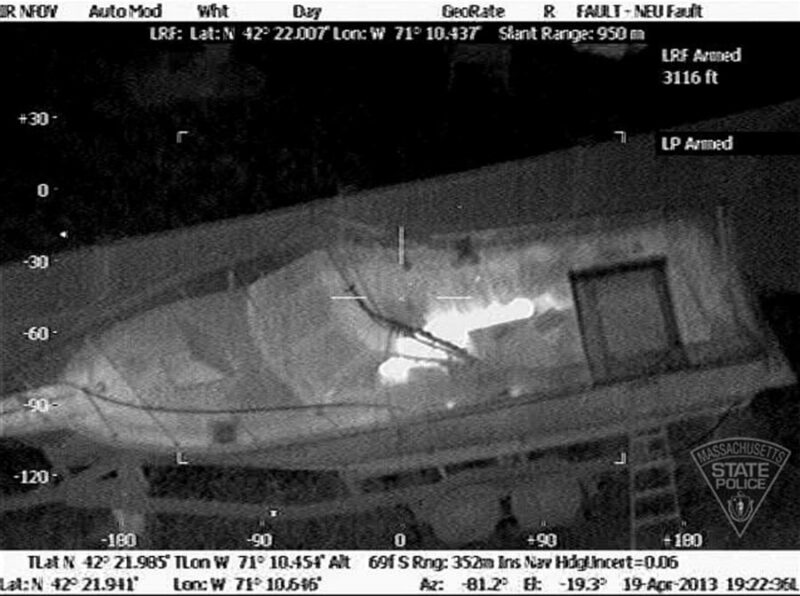 Above: Infrared images released by the Massachusetts State Police Air Wing appear to show Boston Marathon bombing suspect Dzhokhar Tsarnaev on Friday, April 19, hiding in a Watertown, Mass., resident's boat in the resident's backyard. 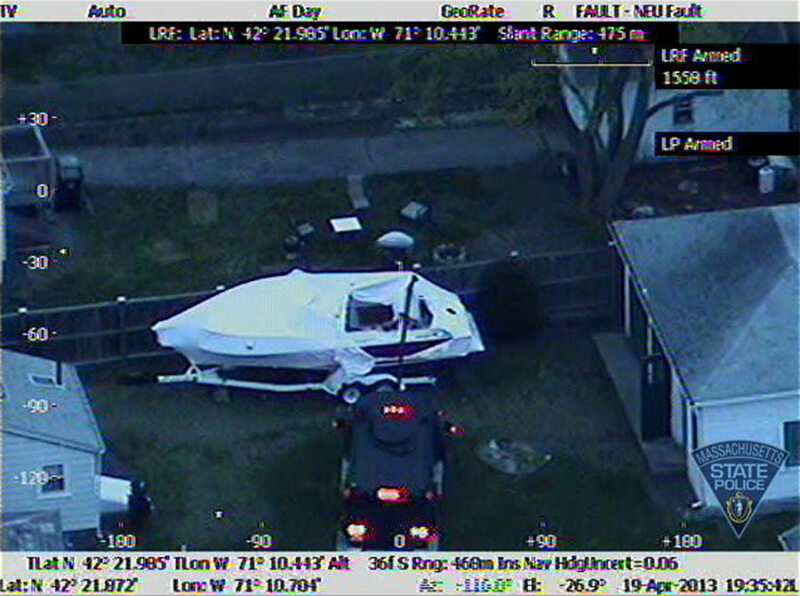 Below: A police vehicle uses a boom to inspect the boat. 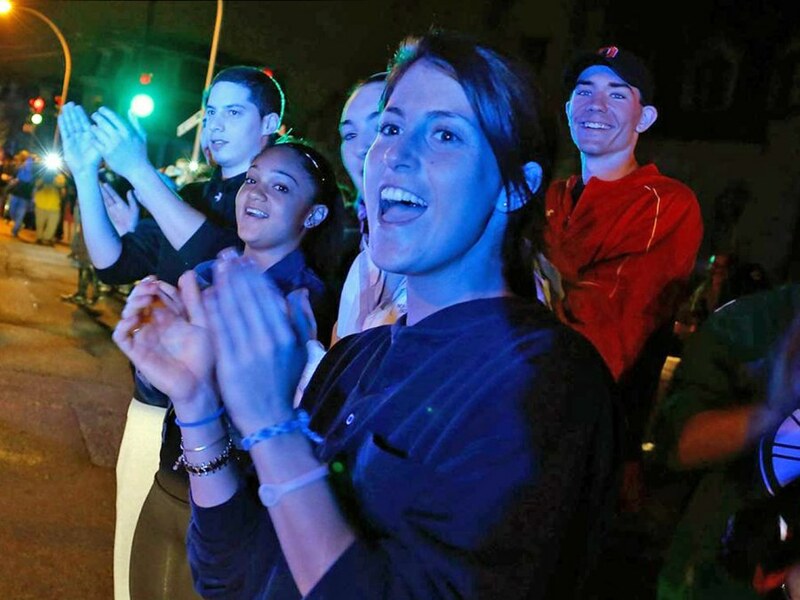 Cheers filled the streets after a Boston Marathon bombing suspect was captured alive but wounded Friday night — following a daylong manhunt that shut down the city.